If you love to cook you should have an herb garden. Period. Herbs boost the flavor of dishes, allowing you to reduce the use salt, sugars and fat. Many herbs have aromatherapy and medicinal properties, and herbs add beauty and lovely fragrance to your surroundings. Growing them is relatively easy, economical and connects you to nature. No yard space? No problem, plant your herbs in a pot on your windowsill or porch. My first herb garden was one of those chia pet thingies (btw – it didn’t work). Since then, I’ve progressed to a small bed just outside our kitchen door filled with herbs selected for their usefulness, beauty, scent and hardiness. A few starter plants have been by our kitchen windows for a few weeks. I’m hoping we are past the last frost because this weekend planting begins. Here are the 5 herbs in this year’s garden. 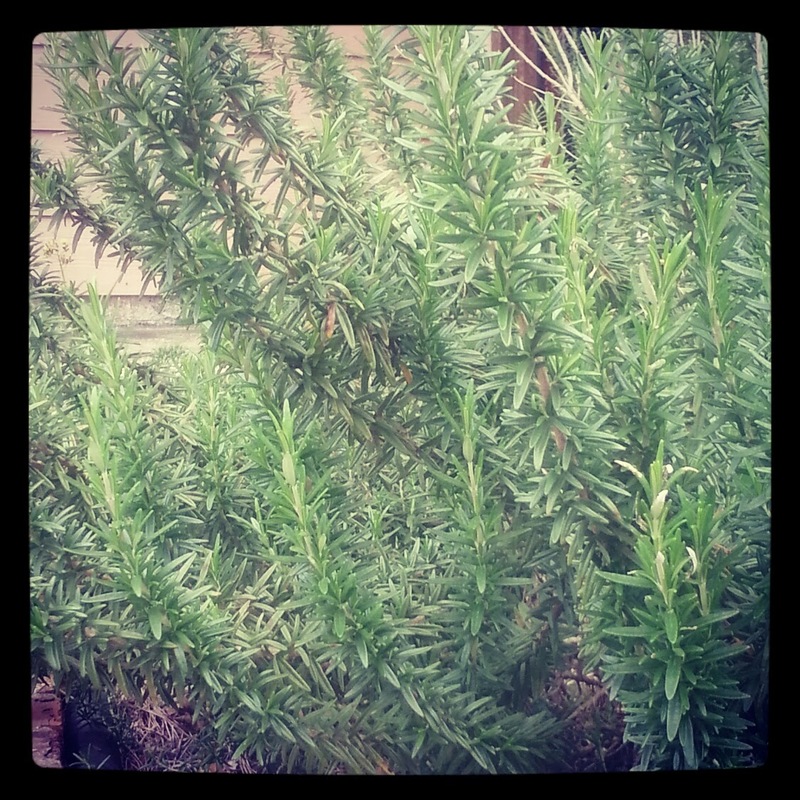 Rosemary – My favorite garden herb, rosemary is shrub-like. Once established, the plants grow to be substantial in size and quite sturdy. In our area they are pretty much evergreen and very hard to kill (an important quality considering my gardening skills). Place the plants in sun and soil with good drainage and they are good to go. Our family adores the look, smell and piney flavor of rosemary. It pairs well with poultry and I use it often to flavor roasted vegetables and broths. Rosemary has also been found to help concentration, mood and memory. 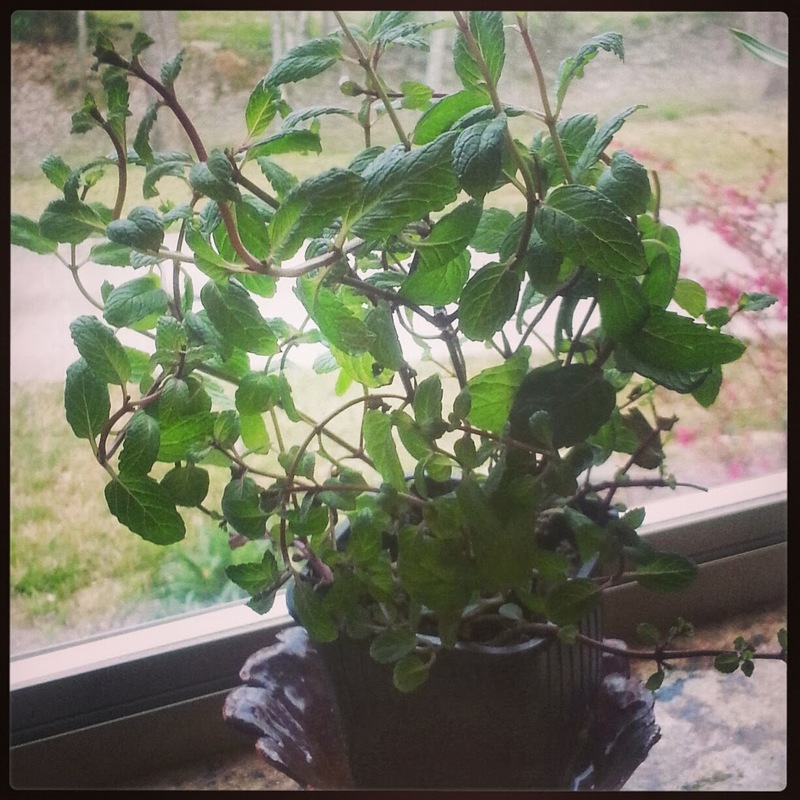 Mint – I don’t use mint often for cooking, but when I have some growing, I use it daily in drinks. 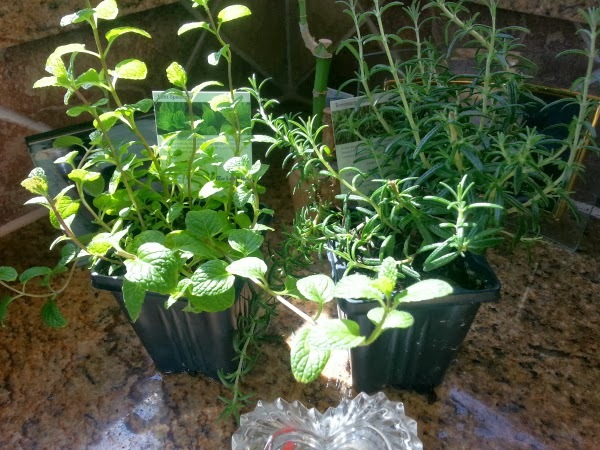 Brew mint for a light tea or add a sprig for a fresh garnish in cold drinks. Mint is invigorating and soothing with analgesic, anti-inflammatory, antispasmodic and antioxidant properties. Aside from the near everyday use, I love mint because it grows, spreads and perseveres like a weed. Just a few plantings in fall or spring can spread out to a beautiful and fragrant ground cover. Basil – Who doesn’t love basil? Its spicy, warm flavor is so versatile. Use it fresh as a flavoring garnish for casseroles, soups and egg dishes; as a main ingredient in pesto and margarita pizza; or dried in marina sauce, salad dressings and dry rubs for fish and poultry. When I think basil, I think Italian food and summer – two really good things. 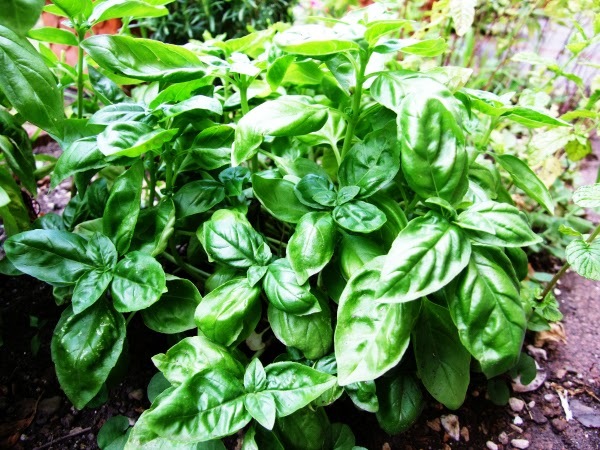 Consuming basil also helps with flatulence – another good thing. Unlike my other favorites, basil plants take a bit more care. They like warm weather, sun and well-drained soil. In the hot Louisiana summer, the plants requires daily watering and regular removal of the tops when they flower over. The flowering reduces the amount of foliage and slightly changes the flavor of the basil leaves. 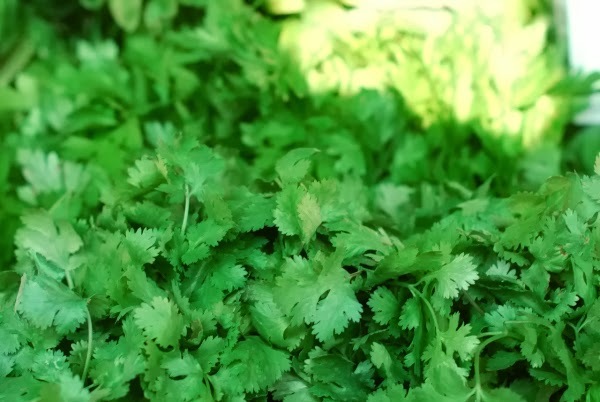 Cilantro – Packed with flavor, cilantro is my go to herb to brighten a dish. It is wonderful in sauces, salsas and guacamole. It adds a neat punch to mixed salad greens, and cilantro pairs beautifully with citrus to accent flavor in seafood and vegetables. Medicinally, cilantro is good for digestion. Cilantro likes the sun, (but not too intensely), and well-drained soil. Cilantro leaves do best in the cooler months. In Louisiana, this is a brief period of early spring or late fall into the winter. In the warmer months, the plant will stalk and flower with white blooms that later produce Coriander seeds (this is a two-for-one plant). Growing this herb is a challenge for me, but I like and use it so much, I won’t give up! 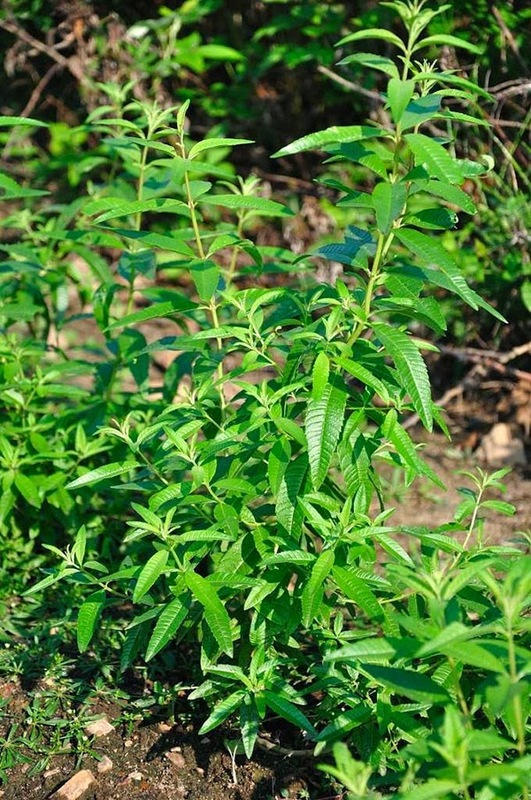 Lemon Verbena – another shrub-like herb, this sweet lemon flavored plant will be the newbie in our herb garden this year. I doubt I’ll use it in cooking as the leaves are really tough. The main culinary uses involve steeping the leaves in water or milk for tea or in a base for a lemon sorbet or ice cream. Other use suggestions include burying the leaves in sugar to create a lemony scented/flavored sugar for use in baked goods. Both those uses sound so good I don’t need to go there. I’m trying the herb this year simply for the scent. Candles or fragrances with lemon verbena notes are so soothing and I look forward to using the clippings in floral arrangements and potpourri dishes in my bedroom and bath. In warmer climates and well-drained soil lemon verbena can grow to 6 feet tall. Really looking forward to trying this one! How we start our day helps set the tone for our day. If your mornings could benefit from a boost, this week's episode of Faith Applied shares five morning health habits that provide energy and grounding, refreshing and focus (without calories or caffeine).